Hip injuries can be caused by several activities including playing sports, running, and falling. There are four different types of hip injuries which will be discussed in this article. A strained hip is when the hip is stretched or a ligament is torn. A ligament is the tissue that connects the bones to a joint. Another type of hip injury is bursitis which is when the hip’s bursa becomes inflamed. A bursa is the small fluid filled sac which acts as the cushion between the bone and other moving parts such as a muscle, tendon, or the skin. A dislocated hip is when the end of the bone becomes out of place. Lastly, a hip fracture is when the bone breaks. If this bone punctures the skin it is referred to as an open fracture. Symptoms of a hip sprain include pain, swelling, bruising, or restricted movement from being unable to move the hip joint. You may experience a pop or tear when this sprain occurs. Symptoms of bursitis also include pain and swelling. With regards to dislocations, this is often visible and noticeably out of place. Symptoms of a hip fracture include deformity, swelling, bruising, tenderness, and a tingling sensation. To treat a hip sprain it is important to rest the injured area. It also helps to ice the hip or wear a bandage or device to compress the injured area. 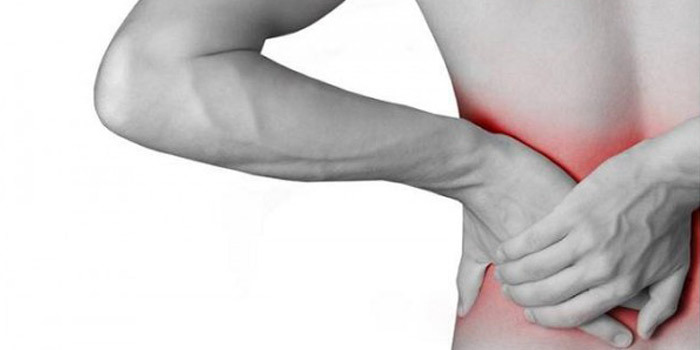 For more extreme cases, physical therapy may be necessary in order to relieve the hip pain and improve one’s mobility. When treating bursitis it is important to conduct x-rays and MRIs in order to find the cause of the pain and swelling. Treatments of bursitis include rest as well as taking pain medication to ease the pain. If the pain does not subside after 6 to 12 months surgery may be needed. With regards to treating dislocations it is essential to treat them immediately in order to reposition the bone by placing it in a splint or sling. If it is repositioned correctly, the joint will naturally move into place allowing it to function normally again after only a few weeks of using the splint or sling. Lastly, a hip fracture can be treated by wearing a cast or splint. Surgery may be needed for more severe cases in order to insert a plate, pin, or screw to hold the bone in place. A hip injury results in a patient experiencing a significant amount of pain. This can restrict their mobility making it difficult to walk and move around. A walking impairment would qualify for the disability tax credit program. Walking impairments mean that it takes an inordinate amount of time to walk even with appropriate therapy, medication, and devices. For example, these devises include canes and walkers. To be considered as markedly restricted, you must have difficulty walking 100 metre and move significantly slower than the average person. It may either take a great deal of time to do so, or you may experience shortness of breath or pain. A walking impairment causes fatigue, ataxia, lack of coordination, and balancing difficulties. These episodes cause you to be unable to walk, or incapacitated for several days at a time. How To Apply for Disability Tax Credit for Hip Injury? To apply, our experts will assist you in filling out form T2201 where you will need to get your medical practitioner to complete this form. This will ask your doctor to describe how you are impaired by your disability. It is important to be descriptive in this section as a patient can be affected in a variety of ways by Hip Injury.